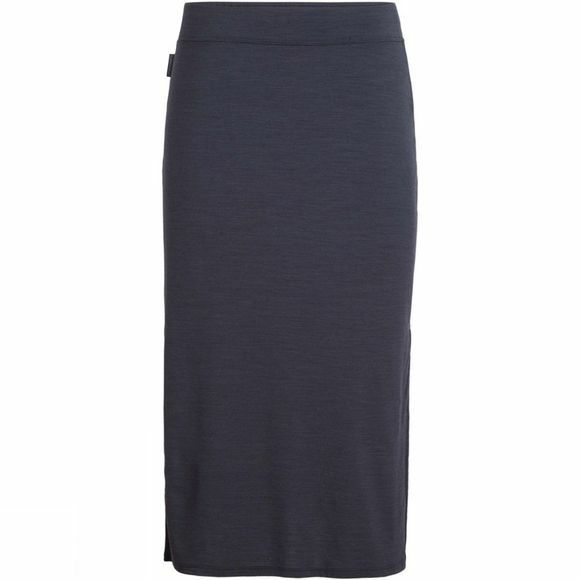 The Women's Yanni Midi Skirt from Icebreaker is soft and sporty for all-day comfort in warm weather. The simple design provide versatility and it will fit perfectly for laid-back summer occasions, casual office-wear or travel adventures. Made from our Cool-Lite fabric, it blends merino with TENCEL, nylon and LYCRA, making it naturally lightweight and silky with a touch of stretch. In a 160gm weight, the technically advanced fabric is great for summer, as it’s breathable, odor-resistant and quick-drying. The side-split detail allows freedom of movement and the below-the-knee length provides added coverage.